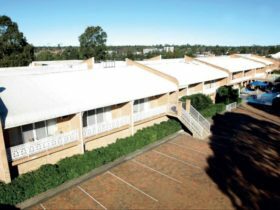 Narellan Motor Inn is an award winning Motel and Serviced Apartment accommodation provider, located in the heart of the Camden and Macarthur region. 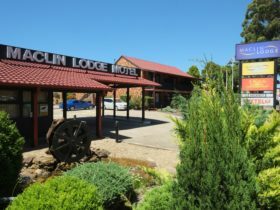 Experience the range of Deluxe rooms with modern decor, comfortable ensemble beds, fresh bathrooms, whisper quiet air-conditioning, tea/coffee and digital Foxtel cable television, offering the most discerning guests a welcome stay. Narellan is the gateway to the Blue Mountains in the West. The beaches of Wollongong and the South Coast and the excitement of Sydney city are all less than an hour’s drive away. This is a vibrant area filled with history, adventure and excitement, first class sporting facilities, wedding, function and conference venues, golf courses, great restaurants, shopping and businesses of all types. 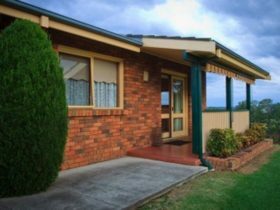 The property features a swimming pool, guest laundry, guest barbecue, ample car parking, beverage service, free WIFI, non smoking rooms and friendly service with a smile! This is a more luxurious alternative for the family. A functional suite which is modern and spacious, with en suite bathroom, carpets, soft furnishings, flat screen digital television with Foxtel and DVD, microwave, tea and coffee making facilities – you will be more than comfortable here. Two bedrooms with luxury king split beds in each and a lounge area with dining table and chairs, coffee table, single tub chair and double leather sofa bed which sleeps an extra two people. Best room of the motel! This suite is spacious with a luxury queen sized ensemble bed, leather lounge suite, large screen digital television with Foxtel and DVD, large corner spa bath, separate shower with luxurious sunflower shower head, telephone, air-conditioning, tea and coffee making facilities, microwave, and wireless internet access. Deluxe rooms are situated at the rear of the property, with modern decor, comfortable double ensemble bed or double and single ensemble bed, en suite bathroom with shower, LCD digital cable television with Foxtel, telephone, air-conditioning, tea and coffee making facilities, iron and ironing board, and WIFI. Some rooms also offer leather lounge suites. Suitable for up to three people. 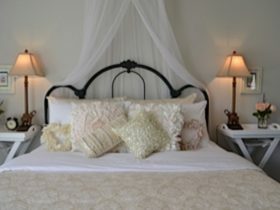 Comfortable self-contained apartment with queen ensemble bed and ample wardrobe space. A separate living area with dining table, air-conditioning, wireless internet access, leather lounge, digital television with DVD player and Foxtel, single day bed, give flexibility and space to work, rest and play. Full kitchen facilities with stove, oven and microwave – makes this apartment ideal for the longer staying guest or for a more ‘home’ style stay. 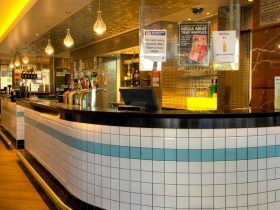 The Standard Room is clean, comfortable and modern with all the motel amenities, along the front wing, with a double and single bed, en suite bathroom, LCD television with Foxtel, wireless internet access, telephone, air-conditioning, ironing facilities, refrigerator, tea and coffee making facilities. This modern self-contained apartment with cooking facilities is functional. It has one bedroom area with a queen and single bed, telephone, desk and drawers. The lounge area has an additional single bed and trundle, rattan lounge suite, wardrobe space and digital television with DVD and Foxtel. The en suite bathroom with shower and fully equipped kitchen with dining table, laundry washer and dryer, are off the lounge area. This is a quiet room at the back of the property on the ground floor. Suitable for three to five people, families, long stays, relocations, or corporate travellers wishing to self cater. 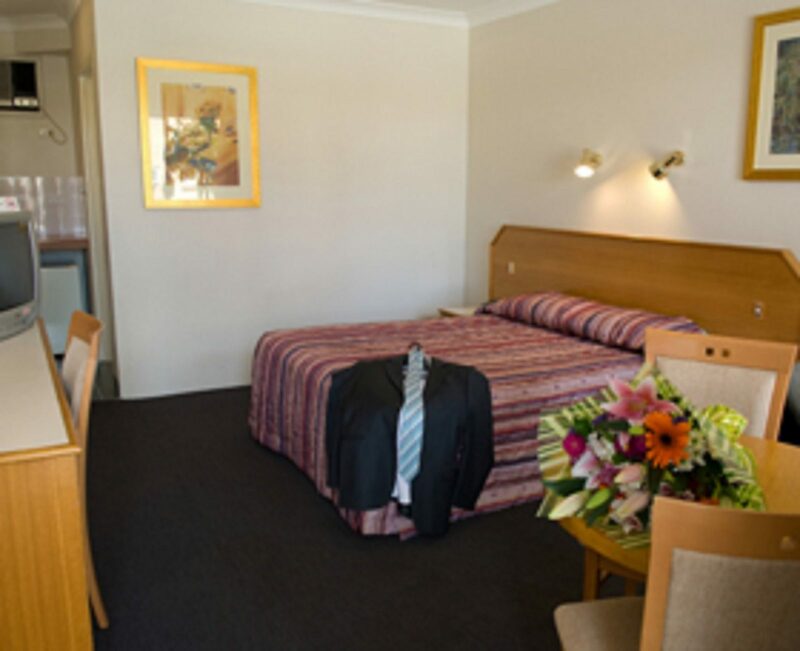 The Standard Family Room offers a double and two single beds in one motel style open room, along the front wing of the property, with en suite bathroom, LCD television with Foxtel and DVD player, wireless internet access, telephone, air-conditioning, tea and coffee making facilities and ironing facilities. Suitable for a small family of four, or triple sharing. 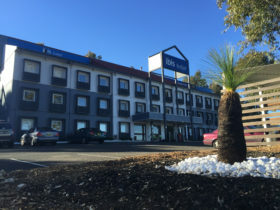 Stylish, comfortable, modern motel-style room, located upstairs with luxury queen size ensemble beds, en suite bathroom with shower, leather sofa lounge, coffee table, flat screen digital television with Foxtel and DVD player, air-conditioning, tea and coffee making facilities, and ironing facilities.